These were the top AMTA membership benefits of 2017! 1. Massage Warehouse Discount | Save up to 30% Every Day + Flat Rate Shipping! Members took advantage of free shipping specials. Be on the lookout for specials in 2018! 2. NEW Benefit in 2017! Member Exclusive ClinicSense Discount | Save 25% on practice management software designed specifically for massage therapists. 3. Free Profile on AMTA’s Find a Massage Therapist locator service | Thousands of AMTA members list their practice at FindaMassageTherapist.org to get FREE advertising from AMTA! 4. Free Member Websites | NEW Features in 2017: mobile responsive designs, unlimited color schemes and improved Search Engine Optimization! 5. Continuing Education Discount | Save 40% on the highest quality online courses and in-person continuing education. 6. 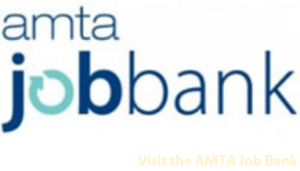 AMTA Job Bank | Post your resume and search for massage jobs in your area. Members created their resume with our easy step-by-step resume builder. 7. Mentoring Program | Connect with an experienced AMTA member and get your career started off on the right foot. If you haven’t already taken advantage of these member benefits, be sure to use them in 2018 and beyond!